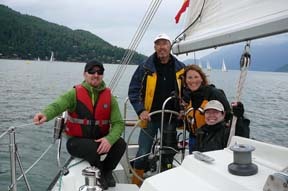 Taught on two consecutive weekends throughout the summer months by Sail Canada certified instructors, students taking this course will learn all the skills they need to safely operate a sailboat in moderate wind and sea conditions both as skipper and crew. 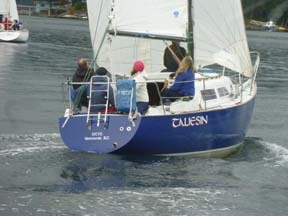 It’s an unforgettable and fun experience on a safe, stable vessel that is fun to sail and ideal for learning. 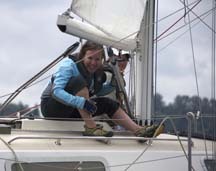 Here’s your opportunity to find out why sailors consider BC a world class cruising ground! A two hour familiarization session from 7pm to 9pm on the Wednesday before your two sailing weekends. On-the-water instruction on two successive Saturdays and Sundays from 9am to 4pm each day - that’s 28 hours of practical training! Class size is limited to 2-3 sailors per course with a minimum class size of 2. If the minimum is not met, your course fees will be refunded. Upon completion of the course and passing the final exam, you will receive a Sail Canada Cruising Certificate that allows to you charter boats for day trips - and find out what coastal BC is really all about!